The weekend of May 31, residents of Washington State watched as engineers began erecting a temporary steel bridge over the Skagit River, to replace the 160-foot span of a 4-lane bridge that had collapsed a week earlier, after being struck by an over-height truck. Just 60 miles away, on the campus of the University of Washington in Seattle, 620 civil engineering students erected their own temporary steel bridges in a competition to demonstrate their engineering skills. 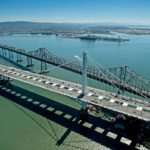 For the 2nd consecutive year and for the 3rd time in the past 7 years, a team of students from the University of California, Berkeley captured the title as champions of the ASCE/AISC National Student Steel Bridge Competition (NSSBC). A record 49 student teams from the U.S., Canada, and Puerto Rico participated in the 2013 NSSBC, which was hosted by the University of Washington’s School of Civil and Environmental Engineering May 31-June 1. The 22nd annual NSSBC was sponsored by ASCE, with funding from the ASCE Foundation and the American Institute of Steel Construction (AISC). 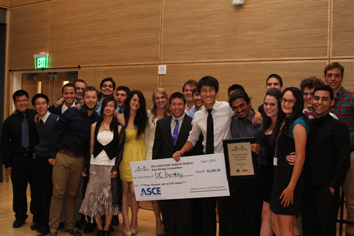 For earning the highest overall score, the University of California, Berkeley was presented a $3,000 check from ASCE. 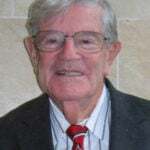 The Massachusetts Institute of Technology, which placed 2nd for the 2nd consecutive year, earned $2,000, and the University of California, Davis finishing third and received $1,000. The prize money was provided by the ASCE Foundation. The bridges designed by the student teams were scored by a team of 55 judges, earning points for the time it took to construct the bridge, its stiffness, its lightness, how economically it was built, how it displayed, and how efficient it was to build. 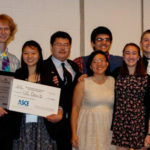 Each year, the NSSBC rules committee modifies the rules somewhat to offer the students a different challenge, so that they are not designing and building the same bridge each year of the competition. For teams to get to the NSSBC, steel bridge competitions are held in conjunction with ASCE student conferences throughout the U.S. Invitations to participate in the NSSBC are extended to the top performing teams in each ASCE student conference. Next year’s NSSBC will be held at the University of Akron in Ohio. Complete NSSBC results from this year’s competition, including information, history, rules, and eligibility requirements, are now available.